With Thanksgiving approaching, I am struck by thoughts of fairness and gratitude. This Thanksgiving season, I am going to outlaw "No fair" outbreaks from me and the kids alike. Why don't you join us as we focus on our blessings and practice gratitude? With Thanksgiving approaching, I am struck by thoughts of fairness and gratitude. I never really thought of these two concepts being related, but we are currently in a phase of “That’s not fair!” at my house. W, the middle school boy, says it isn’t fair that his friend B has a cell phone and he doesn’t. J, the elementary school girl, says it isn’t fair that W gets to eat pizza at the church youth group meeting and that everyone has a later bed time than she does. And K doesn’t think it’s fair that he has so darn many math problems to do every night. So why does all this whining make me think of gratitude? 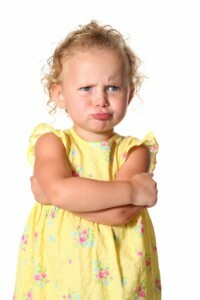 I sure don’t feel grateful for the kids’ bad attitudes! Unfortunately, many times a cry of “It’s not fair!” is a symptom of an ungrateful heart. W, for example, should be grateful that he gets picked up from school instead of walking home like B does. J at least has food to eat and a warm, safe bed to sleep in. And K has a nice graphing calculator to speed up his Algebra II homework. All of this reminds me of the Bible parable that my Sunday school class seems to have a hard time grasping. As Jesus told the story, a man sent workers into the vineyard in the morning, after agreeing to pay them a denarius for their day’s work. A few hours later, he sent more workers to join them, and a few hours later even more workers. The end of the day came and all the workers received the same payment, whether they had worked one hour or the whole day. The workers who had been there all day protested with the classic cry of “It’s not fair!” And the response of the master? “But he answered one of them, ‘Friend, I am not being unfair to you. Didn’t you agree to work for a denarius? Take your pay and go. I want to give the man who was hired last the same as I gave you. Don’t I have the right to do what I want with my own money? Or are you envious because I am generous?’ So the last will be first, and the first will be last.” (Matthew 20:13-16). Now, I get that this story is a parable about eternal life, and I have no problems with someone slipping into heaven at the last minute. I can rejoice right along with the angels! But take this passage at face value, and I am right there with the complainers shouting “It’s not fair!” If I work harder, I want more reward, and I resent someone who seems to get unmerited favors. In fact, I’m not much better than my kids when it comes to my ideas about fairness. This Thanksgiving season, I am going to outlaw “No fair” outbreaks from me and the kids alike. Why don’t you join us as we focus on our blessings and practice gratitude?